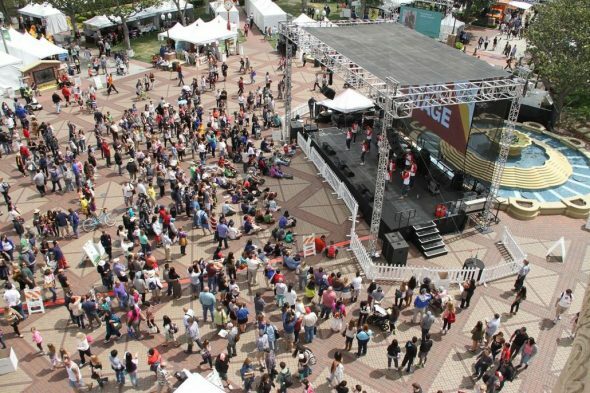 L.A. Times Festival of Books at USC: FREE weekend festival celebrating books, writing, music and more from 10 am. to 6 p.m. on Saturday, April 21 and 10 a.m. to 5 p.m. on Sunday, April 22. Show your TAP card and save 10% on official festival merchandise. Take the Expo Line to Expo Park/USC Station. Keep in mind, you’ll need to TAP if riding to the festival on Saturday. Natural History Museum at Expo Park: Go appreciate some of the natural wonders of our world. The museum is open from 9:30 a.m. to 5 p.m. General adult admission is $15, but you can get a discount if you Go Metro. Take the Expo Line to Expo Park/USC or Expo/Vermont Station, or take Metro Bus 102 to Exposition/Vermont. Aquarium of the Pacific in Long Beach: Learn about sea life and how to keep our oceans clean. The aquarium is open from 9 a.m. to 6 p.m. General admission is $29.95, but you can get a discount with your TAP card. Take the Blue Line to Downtown Long Beach Station and then walk south on Pine Avenue, or transfer to the free Passport shuttle. Route 88 to Sam Merrill Trail in Pasadena: If you feel like getting some exercise while communing with nature, hop on Pasadena Transit’s Route 88 and go for a hike. The weekend shuttle connects with Metro Bike Share and the Metro Gold Line at Memorial Park Station. Pasadena Transit is offering FREE rides on Route 88 on Earth Day as well! 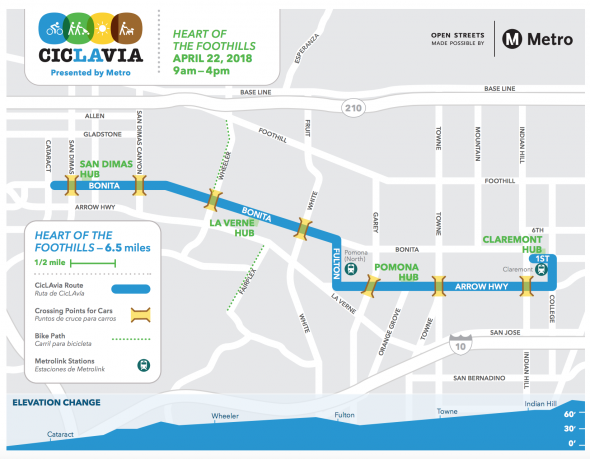 CicLAvia Heart of the Foothills: FREE event where you can bike, skate or stroll on open streets on April 22 from 9 a.m. to 4 p.m. The route connects San Dimas, La Verne, Pomona and Claremont. Metrolink service is available on the San Bernardino lines to the event route. Keep in mind, you will need to pay Metrolink fare. Earth Day Jazz Festival in Inglewood: FREE festival featuring music, food and environmental booths on April 22 from 10 a.m. to 6 p.m. Take Metro Bus 115 to Manchester/Grevillea. Renegade Craft Fair at L.A. State Historic Park: FREE fair with food, music and handmade crafts on April 21 and 22 from 11 a.m. to 6 p.m. Take the Gold Line to Chinatown Station. North Patio concert at Union Station: FREE concert featuring an ensemble of world music percussionists including Shenkar, Randy Gloss, Jim Santi Owen and Neel Agrawal from 2 p.m. to 5:30 p.m.
Thai New Year Songkran Festival in Thai Town: FREE festival featuring food, drinks and music on April 22 from 8 a.m. to 8 p.m. Take the Red Line to Hollywood/Western Station. Metro Art artist signing at South Coast Botanic Garden: Meet artist Eric Ernest Johnson and receive a free, signed copy of his “Through the Eyes of Artists” poster featuring the South Coast Botanic Garden from noon to 2 p.m.
Know of an event to add to this list? Let us know in the comments below! Do we still have to pay for parking at stations like North Hollywood on Earth Day? It would be counterintuitive if we did. Free transit rides but not free parking as far as I know. The fees help preserve parking spaces for transit patrons. Please stop this BS propaganda that the parking free preserve spaces for transit riders!! While that maybe true during the week. Metro still charges on weekends, when MOST lots are 90% empty! If Metro really wanted to preserve spaces for transit riders, there would be free parking at MOST lots on weekends!! At this time we have not received word that parking payment will be waived. We’ll update if anything changes. Thai New Year Songkran Festival in Thai Town (East Hollywood) next to the Hollywood/Western Red Line station. You should mention that Pasadena Transit does accept TAP. Will stations that require TAP-ing to pass the turnstiles have them left open (e.g. Sierra Madre Villa)? Or will I need a TAP card to operate them and just not be charged? Will the “free rides” promotion include lines that normally run during weekday rush hours? I.E., 126, 202, and the 489? Thanks in advance. Hi, the free rides apply to all Metro Bus lines. Will the “free ride” includes local bus routes that run during rush hours, such as the 126, 202, and all of the local routes with limited stops? Are the rides Free on round trip or just to the events? The rides are free throughout Sunday in all directions. 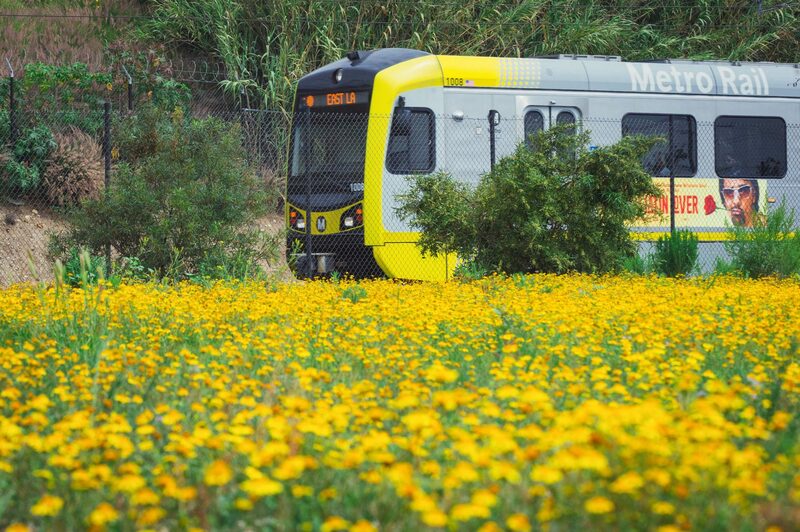 Are Metrolink train rides free on Sunday, April 22, 2018?